LendingOne is Making Headlines One Investor at a Time. LendingOne is first and foremost about the investor and helping them grow their real estate investing business. We have accomplished this by not only providing them with real estate loans to finance both fix and flip and rental properties, but we also offer our investors valuable resources such as articles, blogs, and pieces featuring us where we discuss proven strategies and techniques to use in real estate investing. We are proud to have our blogs, articles and name featured in these publications and their websites. Ultimately, they will assist in spreading the word about what we do and how we can help our investors further succeed and grow their real estate portfolios. Learn what great benefits these real estate conferences can offer to investors who attend. Should you invest in a fix and flip or a buy and hold? See which real estate investing option seems like the best one for you. Industry expert Dennis Cisterna, CRO of Investability, provides 5 key insights about the growing investment opportunity for the single-family rental market. Find out some valuable strategies for how you can increase your chances of being successful when looking to invest in this growing single-family rental market. Discover the reasons behind why now is the prime opportunity for investors to get into real estate investing. 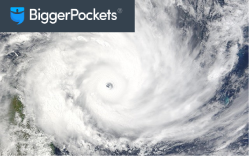 Discover what you should do both before and after a hurricane to secure your investment property. Discover the unlikely connection between working with a mechanic who is fixing your car and a contractor renovating your investment property. Learn about five legal issues that will make having a real estate attorney much easier for investors. Find out why the Millennial’s aren’t buying homes because of their college debt and how this is affecting the real estate market as a whole. Find out how you can utilize the flip-and-hold strategy to really build your investments and help increase your profits. Discover 5 features investors should look for in a rental property that will most appeal to tenants. Learn 7 helpful ways investors can market their rental property and make it look move-in ready for renters. If you have a property located in an area prime for hurricanes, learn what steps to take before and after the storm to protect your investment. Find out the 7 tips real estate investors recommend when hiring contractors, managing them during the rehab, and finalizing the project. Learn about the 10 members of your real estate team that will help you better manage your time. See why choosing a private lender over a bank or all-cash offers is a better method of financing your real estate investments. If you are an investor, learn the important questions you should be asking a potential real estate attorney before deciding to hire them. LendingOne CEO Bill Green was featured in this article where he provides his expert insight on how technology is reshaping the real estate industry today. LendingOne’s recent big announcement was picked up and featured by Lendit News. LendingOne’s COO Matthew Neisser was recently interviewed about the current state of house flipping. LendingOne’s COO Matt Neisser was interviewed by Think Realty where he talks about about private lending and what investors should know about this great financing option for investment loans. LendingOne’s Paul Smoot, Director of Wholesale Originations, contributed this informative article about his predictions and recommendations for the upcoming year in real estate investing. Bill Green, CEO of LendingOne, gave his forecasts for the state of the real estate market in the upcoming year. Learn about what he predicts will happen in 2017. LendingOne’s CEO Bill Green’s article about the 5 questions investors should ask themselves before investing in a rental was recently featured in Inman. Read about LendingOne’s very own Paul Smoot, Director Of Wholesale Originations, weigh in about house flipping with Scotsman Guide. LendingOne is pleased to announce that its Founder and CEO Bill Green has been named 2017 Think Realty Honors Private Lender of the Year. in the categories of Private Lender of the Year and Humanitarian of the Year. LendingOne is excited to announce we closed a Series A Financing Round with an incredible group of investors who will help us continue to grow. LendingOne is proud to announce our newest rental loan product, RentalOne, for investors interested in a 30-Year Fixed-Rate loan for their buy and hold investments.